[22 Mar.] Registration: At the workshops venue (TUT Building X, 4th floor), registration will be open from 8.30 on 24 March, 8.00 on 25 March, from 8.30 on 31 March, 1 April. At the main conferences venue (Swissotel, 6th floor), registration will open from 8.00 on 26-28 March, from 8.30 on 29-30 March. [22 Mar.] Here is some arrival info in pdf (incl two maps), which you may wish to print out to take with you. [22 Mar.] Sat-Sun 24-25 March, public transportation in Tallinn is free for all (due to a campaign run by the city government). This applies in particular to the (regular) bus line no. 2 connecting the airport and the city (but not the special airport line 90K). And it applies to trolleybuses (no. 3 and others) to the TUT campus in Mustamäe where the workshops take place. [19 Mar.] In the evening of Sun 25 March, we will run a complimentary transfer service from the airport to the central hotels from 18.30 (which is when bus line 90K finishes) until midnight. [19 Mar.] Please note that, between Sat 24 March and Sun 25 March, Estonia as well as many other countries will switch to Daylight Saving Time. Don't miss your plane or the first talks of the workshop you planned to attend. [19 Mar.] An electronic version of the ETAPS 2012 programme book is now available. You'll get a printed copy at the conference. And we will also keep the synchronized main conference programme and workshops summary programme updated. [14 Mar.] The conference is very soon. Acquaint yourself with the conference places, study this Google map. [24 Feb.] The proceedings of MSFP, FICS, iWIGP and MBT have appeared as EPTCS 76, EPTCS 77, EPTCS 78, EPTCS 80. [24 Feb.] We mourn the passing of the TACAS SV competition participant Daniel Wonisch. ETAPS TURNS 15, GOES TO TALLINN! THE FIRST ETAPS IN NORTHERN EUROPE. ETAPS, established in 1998, has traditionally been a confederation of five main annual conferences (CC, ESOP, FASE, FOSSACS, and TACAS) accompanied by satellite workshops and other events. 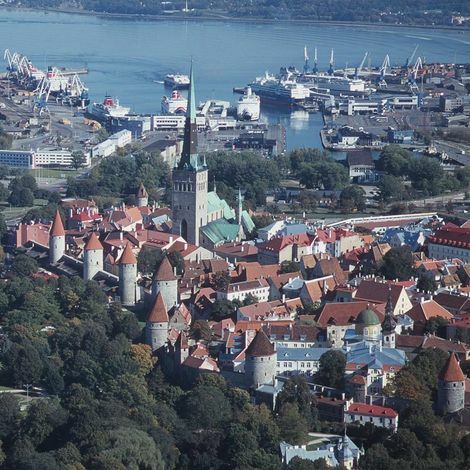 The fifteenth edition, ETAPS 2012, will take place in Tallinn, Estonia. New in 2012 is the trial inclusion of a sixth main annual conference (POST) on security and trust. Tallinn is the capital city of Estonia. It is famous for its picturesque medieval Old Town, a UNESCO World Heritage site. In 2011, Tallinn, together with Turku in Finland, was the European capital of culture (Tallinn 2011, Turku 2011). You are heartily welcome here.